The United Kingdom launched its fourth National Action Plan (NAP) in January 2018 for a period of five years (2018-2022). WILPF’s section in the UK, a member of the Gender Action for Peace and Security Network (GAPS), along with other civil society organisations, participated in the creation of the NAP. Civil society engagement also included in-country consultations in Afghanistan, Burma, Somalia and Syria. WILPF International, Amnesty International UK and Women Now for Development, have participated in consultations with other Syrian civil society organisations and peace activists to formulate strategies on the best ways to create positive outcomes for Syrian women and girls. The NAP implementation will be monitored by the cross-government Working Group on WPS in partnership with focus country teams and civil society groups. Annual reporting to Parliament will also reflect UK activity across departments and funding mechanisms to ensure accountability for delivery of the NAP. 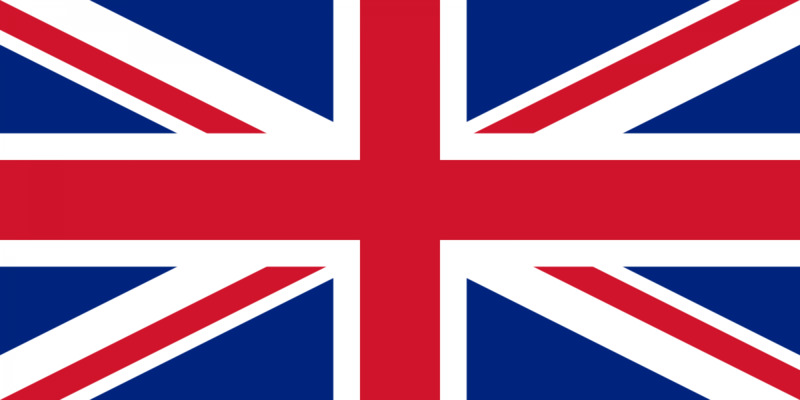 The United Kingdom of Great Britain and Northern Ireland (UK) is both directly and indirectly involved in several international conflicts, including in Libya, Afghanistan and Iraq. Even though the internal conflict in Northern Ireland ended in 1998, the peace process in Northern Ireland is still underway and remains highly fragile. The difficult issue is that the UK Government denies that there was a conflict; however, women's organisations have been lobbying for years to have the UK recognise the applicability of UNSCR 1325 in Northern Ireland because of the conflict that took place. The updated NAP strengthens opportunities for local women civil society to initiate partnerships that address local needs in the UK’s efforts to build security and stability abroad. However, gaps remain in other key areas. Although domestic strategies such as on ending violence against women and immigration are recognised as complementary, the focus remains externally focused. This means the impact of gendered violence within the country, from immigration to the status of women in Northern Ireland, remain unaddressed. In addition, although the previous version of the NAP (2014-2017) expressed the UK commitment to control illicit small arms and light weapons, references to disarmament are missing in this NAP, particularly in reference to the consistent transfer of arms from the UK to various conflict zones in Africa and the Middle East. In 2017, WILPF International, Amnesty International UK (AI UK) and the Syrian CSO Women Now for Development (WND) held consultations with Syrian women human rights defenders, gender equality advocates and civil society organisations to reflect and strategise on how best to use the UK NAP to translate the UK government’s WPS commitments into tangibly positive impacts for all women and girls inside Syria, as well as those seeking refuge abroad. As a result of these consultations, WILPF, AI UK and WND frame recommendations on each of the four WPS pillars with the aim of safeguarding and advancing women’s human rights. As a member of the GAPS Network, WILPF’s section in the UK was involved in the development of the NAP. The NAP also lists the GAPS Network, as one of the key implementing partners. The NAP was produced in collaboration with civil society and academics, including the Gender Action for Peace and Security (GAPS) Network of UK-based NGOs and the LSE Centre for Women, Peace and Security and following in-country civil society consultations in Afghanistan, Burma, Somalia and Syria. Civil society remain key partners for the UK, particularly GAPS and its partners in-country, including women’s rights organisations and WHRDs. The UK recognises the importance of coordinated national and multilateral approaches to security in which every actor understands how and why to promote gender equality, and which are gender-sensitive. It will seek reforms that increase coordination between the security sector, GBV service providers and civil society. The UK will help to support the implementation of existing NAPs in focus countries (Afghanistan, the DRC, Iraq, Nigeria, South Sudan), and it will support the development of NAPs where there is local demand to do so. The UK Government will work with a range of stakeholders in each context, including governments, multilateral organisations, civil society and the private sector to do so. Civil society is not mentioned in relation to monitoring and evaluation of the NAP. The UK NAP is jointly owned by the Foreign and Commonwealth Office (FCO), Ministry of Defence (MOD) and Department for International Development (DFID), supported by the Stabilisation Unit. It was produced in collaboration with civil society and academics including the Gender Action for Peace and Security (GAPS) network of UK-based NGOs and the LSE Centre for Women, Peace and Security and following in-country civil society consultations in Afghanistan, Burma, Somalia and Syria. The UK takes a whole-of-government approach to WPS. The majority of the UK WPS work is jointly led by FCO, MOD and DFID with support from the Stabilisation Unit. Diplomatic, development and defence efforts on WPS are led by policy and programme teams in the UK and abroad and monitored by the cross-government Working Group on WPS. UK Government activity will be monitored by the cross-government working group on WPS throughout the year in partnership with bilateral and multilateral policy and programme teams, including focus country teams. Security and Justice: Security and justice actors are increasingly accountable to women and girls, and responsive to their rights and needs. UK Capabilities: HMG continues to strengthen its capability, processes and leadership to deliver against WPS commitments. Strategic outcomes have no specific actions assigned. The NAP articulates UK’s overall priorities for WPS and provides guiding principles for action, but does not set out a prescriptive list of activities which should be undertaken in order to achieve these strategic outcomes, nor does it capture all of the UK’s contributions to the WPS Agenda. The NAP implementation period is five years (2018-2022). UK Government departments fund work on WPS from their core budgets, such as the FCO’s Global Britain Fund, and the cross-government funds including CSSF. In line with the 2014 International Development (Gender Equality) Act, all development assistance must meaningfully consider the impact on gender equality. The Government has also committed to spend more than 50% of DFID’s budget every year in fragile states and regions. All programme portfolios are assigned to include at least one project marked ‘GEM 2’ indicating its principal objective is the promotion of gender equality. Representation of women among mediators, negotiators and technical experts in formal peace negotiations (WPS Indicator 11a). ****The NAP also notes that a report against every indicator in each focus country is not required. For the 2018-2022 NAP, the UK adopts a more strategic approach to monitoring, evaluation and learning that maintains accountability to Parliament and streamlines reporting for implementing teams. The monitoring, evaluation and learning framework is intended to describe the UK’s contribution to progress toward the strategic outcomes. UK Government activity will be monitored by the cross-government working group on WPS throughout the year in partnership with bilateral and multilateral policy and programme teams, including focus country teams. Annual reporting to Parliament will reflect UK activity across departments and funding mechanisms covering diplomacy, development and defence and will be used to hold us to account for delivery of the NAP. While the NAP refers many times to the entrenchment of harmful gender norms and its impact on women’s lives, disarmament and the impact of arms on women in conflict is not mentioned in the fourth UK NAP. The minimal references to SALW used in the third NAP are no longer present in the latest version.